As scattered green shoots of a market economy pop up all over North Korea, the gap between rich and poor is also widening in line with capitalist trends. Wealthy people in the capital Pyongyang control profitable businesses through the support of the regime, while farmers in remote areas survive or not at all. In March last year, American investor Jim Rogers went to an international coin fair in Singapore and snapped up 13 rare North Korean gold coins each valued at 2,500 Singaporean dollars, as well as hundreds of silver coins worth 70 Singaporean dollars each. 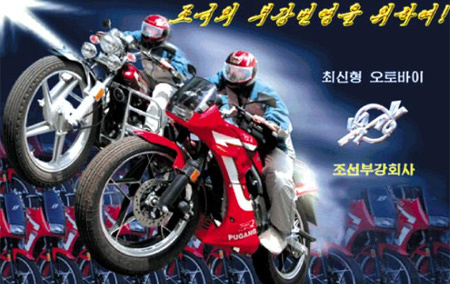 The commemorative coins were produced by Pyongyang-based Korea Pugang Coins Corp., a subsidiary of Pugang Trading Corp.
Pugang Trading operates under the "guidance" of the Workers Party's Munitions Industry Department but is believed to be run by Chon Song-hun, the son of the former North Korean ambassador to China, Chon Myung-su. The younger Chon is a former professor at Kim Il-sung University. The firm imports and manufactures motorcycles and owns six subsidiaries involved in metals, machinery, chemicals, electronics and pharmaceuticals production. It also owns a gold mine that supplied the commodity for the coins. Pugang Pharmaceutical has even exported health products to South Korea and runs a mineral water business. The group's annual transaction volume amounts to US$150 million with 15 overseas branch offices, including in Beijing and Moscow. Now Pugang Trading is on the UN Security Council's blacklist, but the company is still very active in the North. "Pugang is the North Korean equivalent of South Korea's Samsung Group," said Cho Bong-hyun of the IBK Economic Research Institute. "It appears to have been thriving even after Kim Jong-un stepped into power." Chon's brother Yong-hun, meanwhile, apparently controls the import of diesel fuel into North Korea as the head of a company affiliated with the party's Finance and Accounting Department. "North Korean businesses usually split their profits 50:50 with the party," said a government source here. "The Chon brothers are believed to be worth millions of dollars." Another tycoon is Cha Chol-ma, a former diplomat who amassed a fortune worth millions of dollars by taking charge of business projects the North engages in overseas to earn hard currency. "As a market economy evolves in North Korea, we are seeing early signs of monopolization of wealth," said a researcher at the Korea Institute for National Unification here. "Tycoons have grown wealthy through collusion with high-ranking party members." Experts say North Korean businessmen also act as proxy investors on behalf of high-ranking party members, who cannot get involved in business, and often share the profits. The gap between rich and poor appears to have been widening since the famine of the 1990s. State distribution of food is focused primarily on the one million residents of Pyongyang, including party members and other officials, plus another 1.5 million members of the North's military and state security agency. 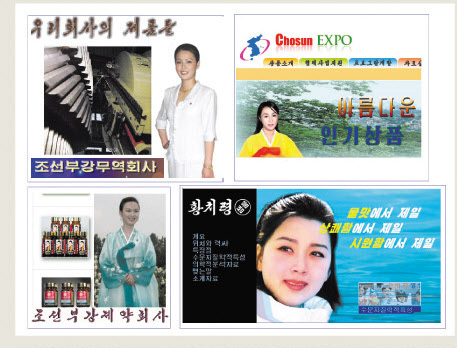 "The cream of the crop don't even eat South Korean or Chinese food products but only the best North Korean foods made in Pyongyang," said one North Korean defector who used to live in the capital. In contrast, farmers and laborers often do not get three square meals a day. One government official here said, "There was a bad harvest in 2011 that caused prices of rice and other goods to skyrocket last year. Some have to turn to loan sharks to buy food." There is a popular saying now in the North that if you don't die this year, you'll regret it next year. Yang Moon-soo at the University of North Korean Studies said, "As a market economy evolves, it is common to see a widening gap between rich and poor. We have to wait and see if this trend exacerbates social tensions or leads to the emergence of a middle class."